For those in attendance at the Josephite Retreat Centre on Sunday for Guy McPherson’s presentation, the information he shared on climate change was sobering. Although I have been studying and teaching about “global warming” for over 25 years, I was still shocked by some of the latest research in the field. Personally, I “checked out” of the climate debate after the failed Copenhagen Climate Change Conference in December, 2009. Since then, the conversation internationally has shifted from prevention to adaption. In other words, governments worldwide have essentially admitted there is no chance of reducing greenhouse gas emissions below dangerous levels and instead we need to brace ourselves for the fallout. Regarding protection against extreme weather events, it appears to be more of an everyone-for-themselves response. Large-scale responses – such as the Horizons’ proposal for the Whanganui River – are likely to be rejected by the majority of rates payers. Tax increases anywhere in the world appear to be universally despised. That leaves protecting oneself and one’s family to…one. For us, many of our efforts at climate change adaption also reduce our carbon footprint and vice versa. At the same time, many of these efforts also protect us from disruption of services due to a major earthquake or power failure for any reason. For instance, we have seven ways to cook only one of which requires electricity. 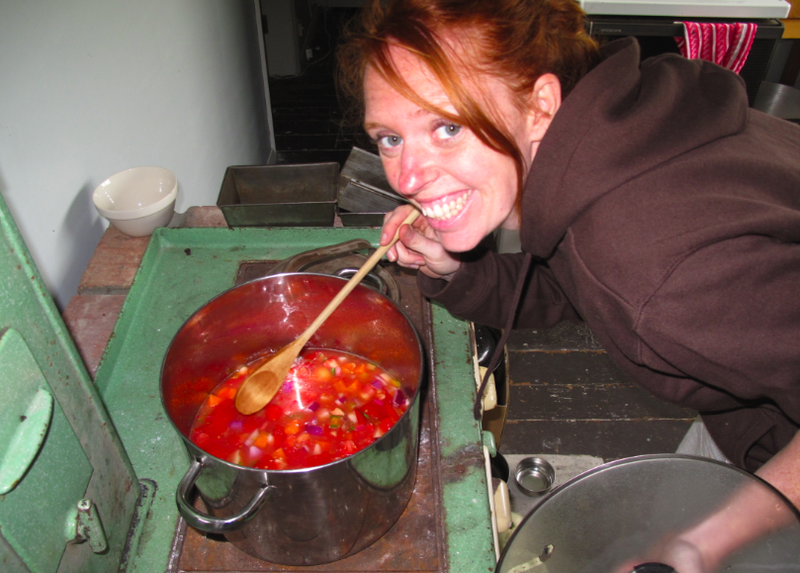 During the power outage in March, for instance, we baked three loaves of bread and cooked a huge pot of soup on our good old Shacklock 501. 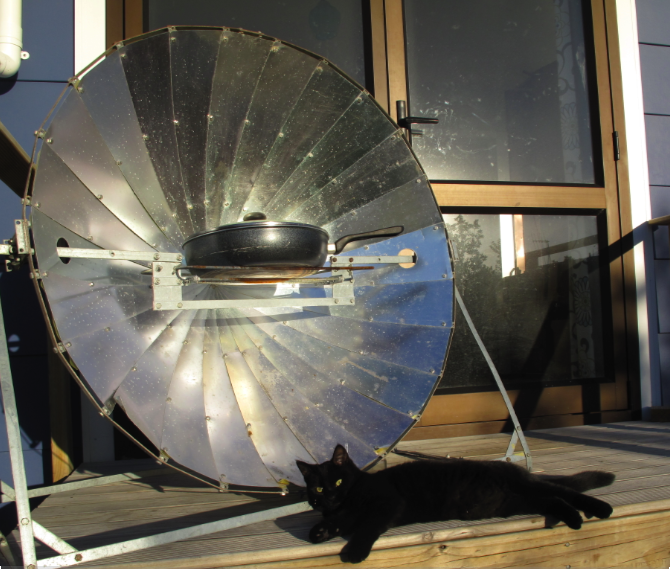 We regularly use our solar cooker for everything from potatoes to cheeseburgers. We also enjoy cooking outdoors in our pizza oven or on the BBQ (both wood-fired). In case of an extended drought and water restrictions, we have a 500 litre tank to collect roof runoff. To protect against high winds damaging our fruit trees and vegetable gardens we have wind netting, in some cases two layers. Guy advocates four approaches to resilience: access to food; access to clean water; provision for maintaining body temperature; and, building community. We have established all of these from scratch during the last year and a half. This blog has demonstrated how we did it all on a tight budget. By designing and building a low-energy, resilient home and section, we are fulfilling a version of the cliche’ saying: “Live your life like you will live for a hundred years, and as if you’ll die tomorrow.” In our case it is in response to climate change: Live your life like you want to prevent climate change, and as if you’ll get a record setting storm tomorrow. I've now read all your posts, over the past couple of months. You offer some serious inspiration to change one's thinking, a bit, or a bit more. 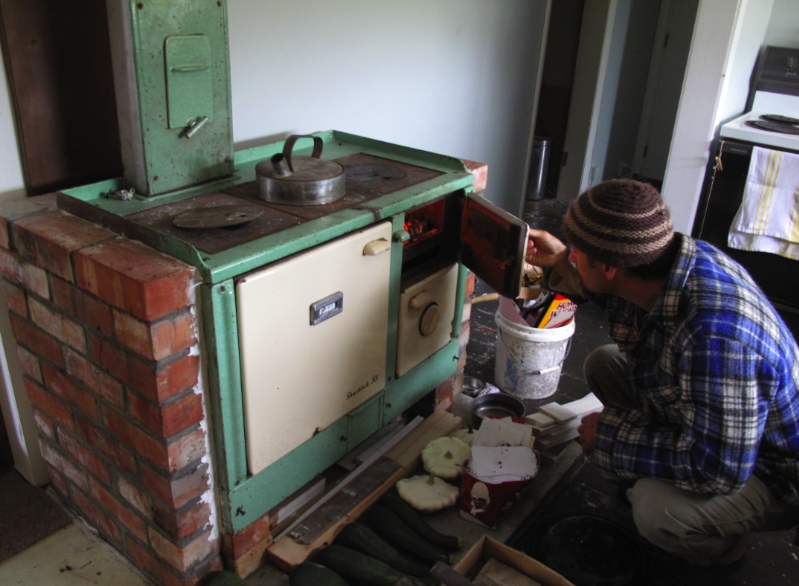 Sometime when you're looking for some more thermal mass, perhaps a rocket stove mass heater?Keep smiling.